We’re excited to be partnering with our local law firms to promote “Wills Month’ this September. Wills month is a fantastic initiative that gives people the opportunity to create a simple Will, or make minor changes to an existing Will, to include a gift to Advance Ashburton Community Foundation, at no cost*. More and more people are considering how they too can make a difference to our community. By leaving a percentage of your estate to Advance Ashburton Community Foundation is a wonderful way of creating a lasting legacy that will benefit our region for generations to come. It is the strategic giving, that enables you to give to the causes that matter most to you. All bequests made to Advance Ashburton Community Foundation are invested in endowment funds forever. Every year a portion of the investment income is retained to ensure that your gift grows in line with inflation. The balance of the income from investments is distributed annually to charitable organisations in our local community. Please contact Sandi at Advance Ashburton if you would like to find out more about leaving a gift in your will. *Offer applies only to the inclusion of a gift to Advance Ashburton Community Foundation. Any other Will changes or additions may be subject to a fee – seek guidance from your lawyer first. We would like to thank the following law firms for supporting our Wills Month campaign. Scholarships - Do you want to help? ​Although there has been a huge growth in the number and value of grants awarded, this year we received over 100 applications – we had funds for only twenty-nine scholarships. ​To enable us to help more we are now accepting donations for ‘pass through’ scholarships. So, if you wish to donate funds for a particular scholarship – whether it be an existing category or a new category - the funds won’t be invested, but passed directly through Advance Ashburton for the purpose of a scholarship. If you would like more information please contact Sandi Wood, Executive Officer on 027 577 5875. It was great to see so many of you join us at our Annual Celebration of Philanthropy last week to hear our 3 guest speakers share their success stories. Ross Preece, Principal of Ashburton College, spoke of the positive results that are being observed at the new Kohanga at the College. Professor Bridget Robinson, Medical Oncologist, gave us an update on their research into Bowel Cancer, part funded by the late Ian Glassey fund. And Sir Stephen Tindall, founder of The Warehouse and The Tindall Foundation, shared with us some of the projects the Tindall Foundation are currently supporting and also a great insight into his involvement with The America's Cup team. What a wonderful breakfast we had at our first ever breakfast fundraising event, raising funds for a local leadership scholarship. We were privileged to be the first event at the new EA Networks Pavilion in the beautiful Trotts Garden, Wedding and Function Venue, and were all inspired by our guest speaker. Sir Stephen Tindall gave the crowd of 120 his overview of philanthropy in the next generation, his entertaining stories and insights into Team NZ's success and the great importance of The America's Cup being held in NZ. Thank you to Sir Stephen Tindall and to everyone who attended and supported this event. ​We are very pleased to introduce Sandi Wood as our new Executive Officer. ​A born and raised Mid Cantabrian, Sandi has a passion for being part of community success. She is looking forward to working to make a positive difference in our community. We hope you will join us in welcoming Sandi to our team. ​It is with our best wishes that we say farewell to Margaret Rickard who is retiring from Advance Ashburton. As the first Executive Officer, and employee of our foundation, Margaret has been instrumental in the success and growth of Advance Ashburton over the past seven years. During Margaret's time with the foundation, we have grown our combined asset and bequest base from $4.7 million to $35.7 million, and the foundation has distributed over $2.5 million to our community. We wish Margaret and her family well with their future endeavors. On 28th March 2017, Advance Ashburton trustee Gary Fail presented David Meates, Canterbury DHB Chief Executive, with a cheque for $1.5 million to go towards the upgrades of Ashburton Hospital. The donation is in conjunction with the Mackenzie Charitable Trust, the Lion Foundation, the Ashburton Licensing Trust and the Trevor Wilson Charitable Trust. This will go towards the $8.7 million of improvements underway at the hospital, which includes building a new 1040sqm Acute Assessment Unit and Day Procedure Theatre. ​Check out this wonderful tribute to Merle and Laurence Cooney published in The Tindall Foundation Annual Report. We are delighted to welcome two new trustees to the Foundation’s Board. Nicki is a Director and Financial Manager of farming businesses in Dorie, Rakaia and Aylesbury. 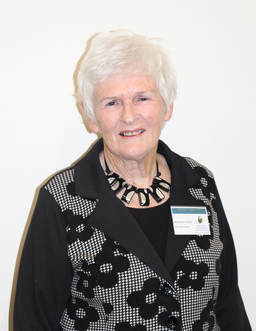 She is a Justice of the Peace, a trustee of the Rakaia Medical Centre and Dorie Community Trusts, and was the founding Chairperson of the Dorie Community Preschool. She farms with her husband Peter and they have three adult sons. Chris, Senior Partner at BNZ, has been a banker since 1988 and in Ashburton since 1994. Previously an Agri banker, he now leads the BNZ team across Ashburton and Timaru. He is the Past Chairman of Ashburton Borough School Board and past Chairman of Christchurch Girls’ High School Rowing. Chris is married to Jacqui and is father of four daughters. He loves cycling, climbing hills and boating in his spare time. The Foundation thanks Roger Bonifant, who has been a member of the Investment Advisory Committee since 2011 and who has recently retired from the role. His expertise and experience have been greatly appreciated and valued: we acknowledge and thank Roger for his wonderful contribution. Grant Bonniface, has joined the committee. He is a Chartered Accountant and since 2008 has been the Chief Financial Office of Ashburton Contracting Ltd (ACL). ACL is a diverse civil contracting company based in Mid Canterbury employing 135 staff. His interests include commercial property ownership, investment and farming. He is a trustee (and treasurer) of the Waihora Ellesmere Trust and Life Member and Secretary/Treasurer of the Waihora Clay Target Club.